Using the highest quality rambling foliage and prettiest blooms every time, our dedicated team has been helping bride’s floral visions come to life with contemporary and classic designs and unique installations since 2012. Each concept is completely individual. “We design from the heart and really listen to our brides, so we get to know what they love about flowers” This personalised and professional service assures our local, interstate and international brides that they can trust us with their ideas and also give our team of thoughtful creatives the freedom to exceed their design and installation expectations on the day. Willow Bud is highly respected among wedding industry professionals and recommended by many of the top wedding venues on the Sunshine Coast and in Noosa. We are always excited to see many of our couples’ weddings featured in bridal magazines and blogs around the country. Images by Coastal Love Collective. I always knew that flowers would be an important part of my life. With a creative background in fashion design – I made my own wedding dress! 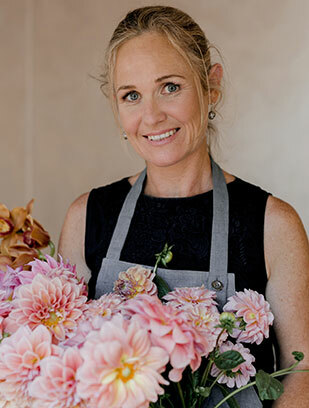 I moved from Sydney to the Sunshine Coast in 2008 and after 2 years of studying floral design, Willow Bud was born. Named after my daughter who in the beginning was my little flower ‘buddy’ often picking flowers, playing in the flower boxes and taking the long journey to the flower wholesalers and flower farms with me.The name stuck and all these years later I am now a mum to a tween with sooooo much sass and a business that I absolutely adore! In my spare time I love to spend time with my husband Grant and Willow seeing where the wind blows us. 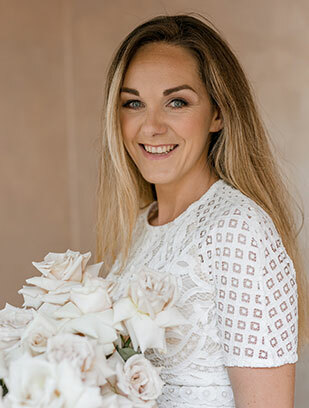 A fully qualified florist with a Graphic Design degree and a diploma in freelance photography and boasts over 13 years experience as an event florist. Sherii is also our admin superstar, assisting in customer service, flower ordering, and forward planning so everything is organised. 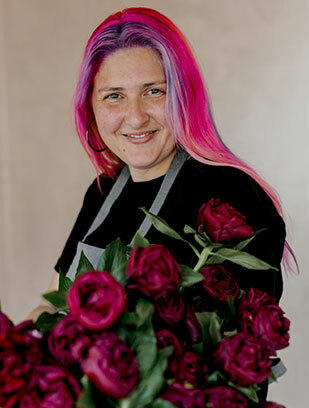 Sherii always delivers and installs our wedding florals with a smile and often easy to spot with her crazy coloured hair and ever ready smile. Sherri loves, oversized statement pieces and delicate and refined wired floral accessories and has a soft spot for Orchids, kale, and daphne. When she’s not in the studio or onsite Sherii is spending time with her adorable boys Teddy and Felix and partner George. Throughout Susa’s amazing 24 year career in floristry she has worked in some of the world’s most incredible locations as a high-end event floral designer designing and delivering many floral designs for international celebrities. 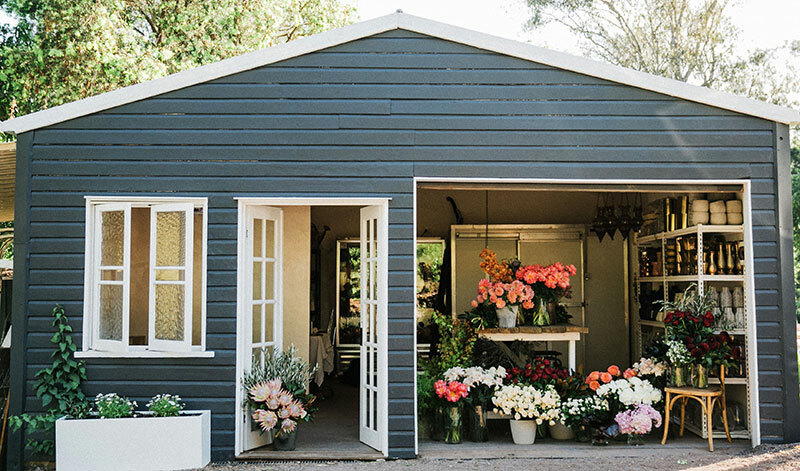 Before joining the Willow Bud team in 2015 Susa owned a very successful florist shop in Noosa. Her calm and supportive nature is an integral part of why she is such a loved part of the team. Susa loves to create lush hanging installations and oversized and ethereal style bridal bouquets. Her favourite blooms are; Snow Ball Viburnum, Water Lillies and David Austin Roses. When she’s not busy in the studio Susa is spending time with her adorable twin girls Scarlet and Charlotte and husband, Ian. Homepage images by Jennifer Oliphaunt Photographer.